If you are looking for super high definition prints with brilliant color vibrancy, Metal Prints are the way to go! 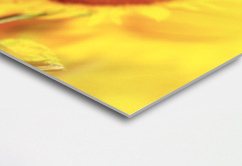 Metal prints, also known as Aluminum Prints, offer a vibrancy of color not seen in other types of prints. Because of the way that the image is infused into the aluminum’s coating, the colors on a metal print are incredibly vivid. Upon viewing an aluminum print for the first time, people often think the brilliance of color is due to artificial lighting, rather than the medium itself. Despite the name, metal prints are not actually printed onto the metal. Your image is first printed onto a transfer paper and, with a combination of the perfect amount of heat and pressure, the image is “baked” into a polymer-coated sheet of aluminum. The heat turns the ink into a gaseous state and bonds it to the polymer coating. This process is called sublimation. The image is now infused into the metal and the print is left to cool off. We then finish the process by trimming the corners if needed, and installing whatever mounting option you have chosen. Depending on the size of the print, we suggest that your images be 300+ dpi for the best image quality. Images at 200-300 dpi are also acceptable. The polymer coating of the print makes it durable and scratch resistant, as well as unaffected by water. Cleaning is as easy as wiping your print down with a microfiber or other soft cloth. If smudges or fingerprints persist you can also apply warm water or a mild cleanser. Please note, however, that aluminum prints are meant to be displayed indoors. Direct sunlight will cause the colors in your print to fade over time, so make that you display your prints in a suitable place. We will soon be Lumaprints! So feel free to come check out our new Metal Prints Product Page, which will also include pricing information for our Metal Prints. NOTE: to see Pro pricing at Lumaprints, simply register an account at our Lumaprints Registration Page, and select “Pro” account type. Then, once you log in, all prices will automatically adjust to display our Pro, wholesale pricing. 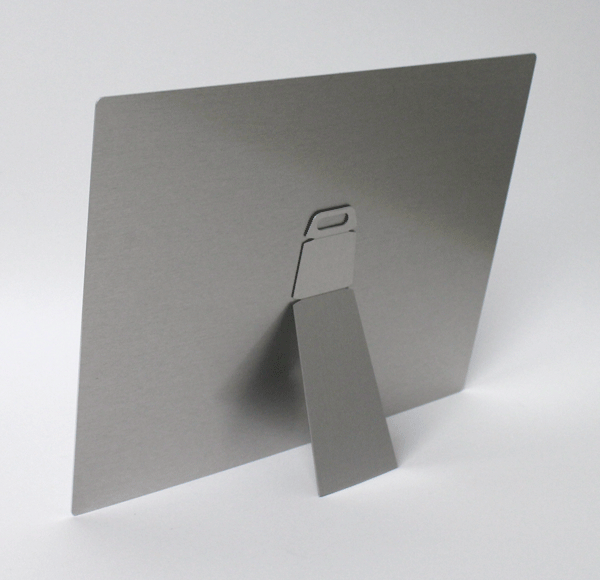 You can use the Easel mount to either stand your metal print on a surface, or to mount it on a wall. 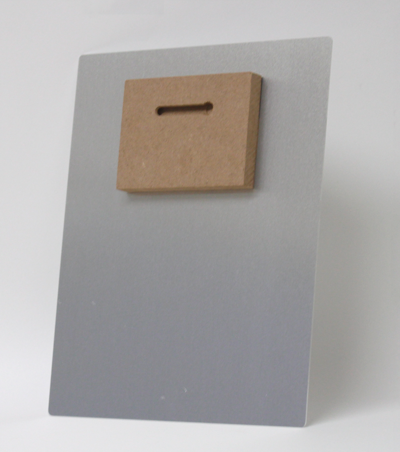 You have the option of how to display your metal print. 5x7, 8x8, 8x10, 8x12, 11x14, 11x17, 12x12"